In this project the nonprofit association ‘karolingische klosterstadt e.V.’ (Carolingian Monastic Town) makes the most famous architectural drawing of the middle ages become reality: the Plan of Saint Gall. Inspired by the construction of a medieval castle in Guédelon, France, carpenters and volunteers build a medieval monastery, solely with tools and methods as close as possible to those of the early middle ages. It is our goal to build a 9th century monastery with contemporary Carolingian tools and materials only. To this end the “Plan of St. Gall”, the earliest European architectural document, is put to reality in a wooded area near Lake Constance in Southern Germany, only 40 kilometres from the place of its origin. The plan was authored on the monastic island of Reichenau between AD 817 - 830 and constitutes a construction plan of the monastery of St. Gall, Switzerland. The construction site called “Campus Galli” (=court of St. Gall) is thought to demonstrate early medieval life and technology to the public, as well as to test archaeological hypotheses by an experimental approach. The Plan of St. Gall describes the entire organisation of a monastic community with its numerous aspects ranging from workshops and agriculture to libraries, housing and churches. After temporary workshops have been set up in 2013, work has focused on a wooden church to act as a predecessor for the basilica to be built from stone later. Further buildings are being constructed as the project progresses. It is anticipated that several decades are required to finish the entire monastery. 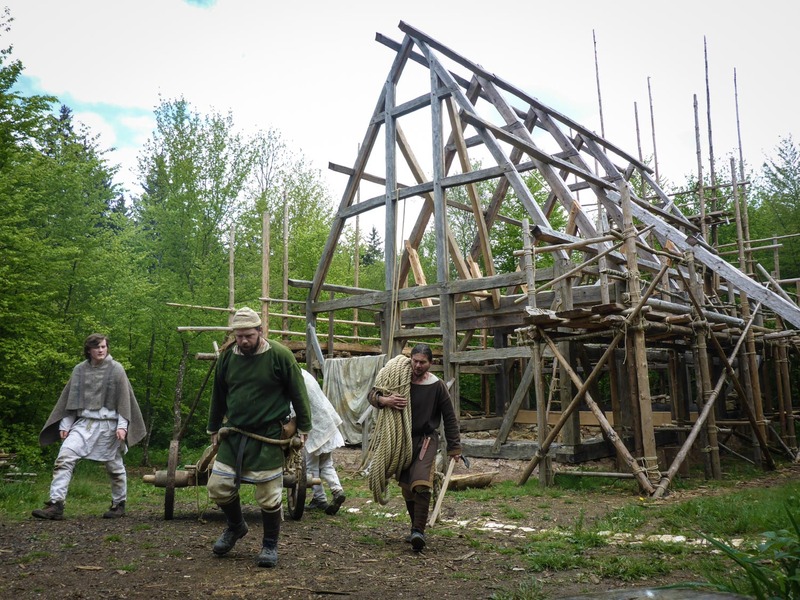 Each construction step, the materials, the methods as well as the general sequence of buildings follows 9th-century standards: Beams are hewn from lumber and oxen are drawing them to the construction site, where they are heaved by hand or by a reconstructed crane onto the timber scaffolding. Where historical sources are scarce archaeological/historical hypotheses are put to the test, by skilled craftsmen, who are by now used to develop solutions that go alongside the technological possibilities of the 9th century. Along the museums trail, tools, clothing and pottery are made to contribute towards the construction of the monastery. Currently a team of 25 fulltime-workers and at least as many volunteers work from spring to fall for six days a week towards the construction of the monastery and in doing so show many facets of 9th century life. The project is supervised by a scientific committee consisting of renowned scholars for the Plan of St. Gall and its period, as well as members of the “Landesamt für Denkmalpflege”. Campus Galli is located in a forest close to the small town of Meßkirch in Baden­Württemberg, roughly 30 km north of the Lake of Constance. The site is closed for visitors during the winter months and open to the public from April 2nd ­ Charlemagne’s Birthday ­ until November 2nd. The site has a size of 64 acres, of which the monastery itself will only take 19.8 acres. 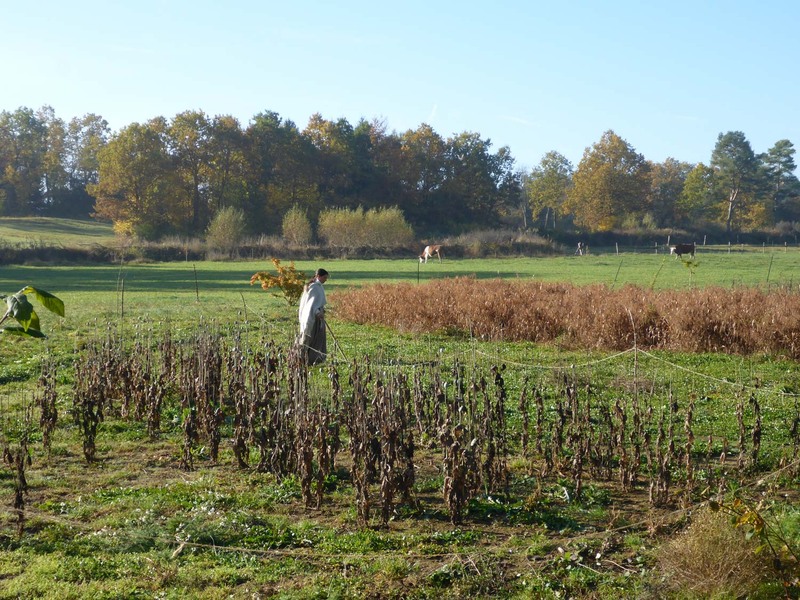 The rest will remain as historically cultivated fields and forest. Campus Galli is funded by the entrance fees of the visitors. The extraordinary project receives initial funding from the town of Meßkirch, the county of Sigmaringen and the European Union. Even before the construction started Campus Galli saw immense support from many sides. Foremost by the ‘Werkstättle Pfullendorf’, an initiative for long term unemployed people, sponsored by the European Social Fund (ESF). The project is also supported by carpenters, local businesses, and enthusiasts from Meßkirch and its surroundings, be it with know­how or their own hands’ work. Campus Galli is also supported by a board of academic advisors, consisting not only of archeologists and historians but also scholars of media studies. The project offers scholars and researchers the possibility to work on the site and to conduct archeological experiments with the carpenters and workers of Campus Galli. Moreover, the projects is accompanied by the experienced film maker Reinhard Kungel, who creates a long term documentary about Campus Galli. Kungel has been making movie documentaries for a long time and also shot a movie on the castle construction in Guédelon. 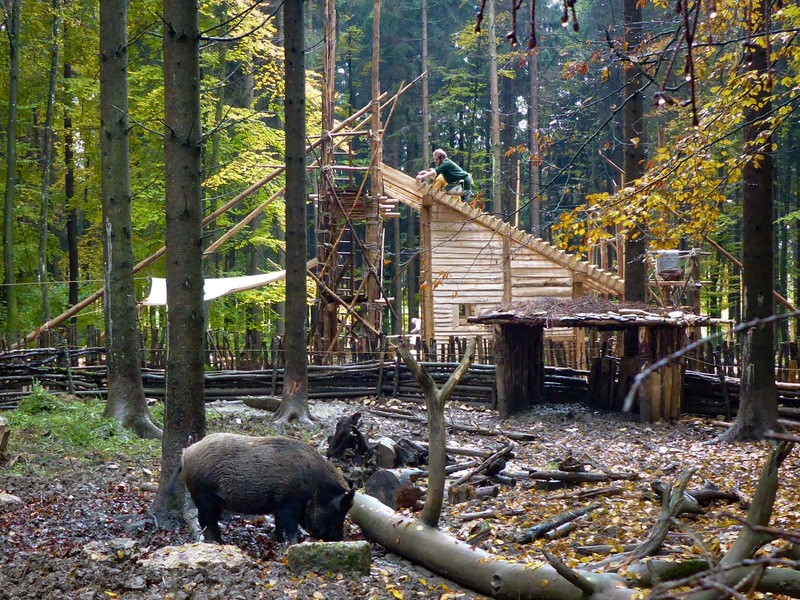 I studied archaeology in Tübingen and München, with a focus on human subsistence and experimental archaeology. I have always had a strong interest in prehistoric and historic technology, and I have become a versatile craftsman myself. After several years in postdoc-projects I found my dream job 2014 as Director of "Campus Galli".